Microsoft Build 2019 is celebrated in may: will we Know more of Windows Core OS? Microsoft has announced the official dates of its annual conference of developers Build, an event in which are presented the innovations in products and platforms of the company and which will be held between the 6th and 8th of may in Seattle, precisely coincides with the I/O event of Google. During the annual event, involving key individuals from Microsoft, as CEO Satya Nadella and the charismatic leader of the team of experience of Windows, Joe Belfiore. And as you might expect, talk at length of products or services such as HoloLens, Azure and Cortana. The registration will open on February 27 for any person planning to attend in person, but is not yet available the list of the scheduled sessions. But the main rumor of the event is that Microsoft could take advantage of it to present the Windows Core operating system, which is said that it is a radical renewal about Windows 10 and that gives new life to the operating system with a user interface more modular and optimized for different types of hardware, including the PC folding. It is also expected that Microsoft will give us more details about Windows Lite, the new version of Windows that only runs apps Progressive Web to compete more openly with the Chrome operating system. A recent string of code for a build of Windows Insider beta shed some light on those plans and it seems that it is a project that was already in progress internally at Microsoft. In general, Microsoft tends to issue in streaming sessions Build more important, so surely you’ll be able to enjoy them from the comfort of your home. Beyond that, we don’t have any official figure of what will be the Redmond of the event, but its tagline itself gives us some clues. 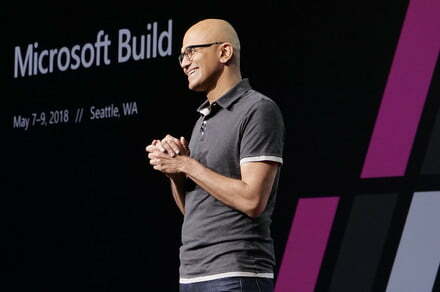 “Join us in Seattle for the main event of Microsoft for developers. Come and experience the latest tools and technologies for developers. Imagine new ways to create software to obtain information from the industry on the future of software development. Connect with your community to understand the new trends of development and innovative ways of coding ”, we can read on the web dedicated to Build by 2019. The developer conference Build last year saw the announcement of several new initiatives from Microsoft, such as for example how Cortana could work with Alexa to make it even more useful, the new headphones from Windows Mixed Reality, the Control Adaptive Xbox for gamers with disabilities, or how Ubuntu and iTunes will come to the Microsoft Store.